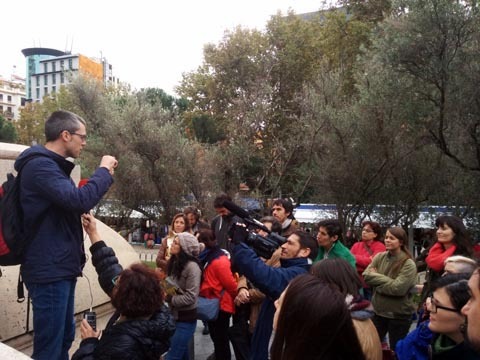 A few days ago, La Casa Encendida organised a guided tour on Madrid's urban fossils as part of the URBAN TV festival. In this event, everybody could see the fossils hidden in two monuments: Lope de Vega statue, in front of La Encarnación and Cervantes monument, on España Square. We also visited two underground stations clad in fossiliferous limestones: Ciudad Universitaria and Metropolitano.